Posted on 02/07/2019 by Parklifer	in Preview and tagged Alabama, Rams Head Live, soul, St. Paul and the Broken Bones. 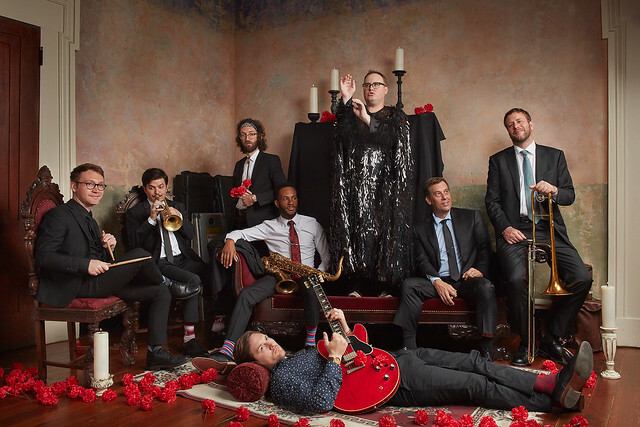 St. Paul and the Broken Bones released Young Sick Camellia, the band’s latest album, last year via Records. The octet will perform at Rams Head Live on Friday, Feb. 15. The new record follows Sea of Noise, which the band released as their second album in 2016. Sea of Noise looked outward on the current state of society, and with Young Sick Camellia, frontman Paul Janeway looks inward with his most personal lyrics to date, addressing family and searching for common ground. As ever, Paul brings his bandmates along for the ride — Browan Lollar (guitar), Jesse Phillips (bass), Andrew Lee (drums), Al Gamble (keys), Allen Branstetter (trumpet), Amari Ansari (saxophone), and Chad Fisher (trombone). In a review for PopMatters, Pryor Stroud said the band is so much more than the retro-soul label applied to them. “On Young Sick Camellia, their third full-length together, Paul ‘St. Paul’ Janeway and his bandmates show just how misleading and deleterious this label can be. Brimming with old-school stylings and sweat-soaked funk backdrops that sound like the Famous Flames simply reassembled around a new frontman, these songs all stem from a singular ability to express oneself through a decades-old tradition. Simply calling this work retro-soul would be a careless critical maneuver that would miss how truly remarkable this ability is,” Pryor wrote.